I like everything..Perfect all..todo muy bien..excelente. Very kind people's, beautiful place. 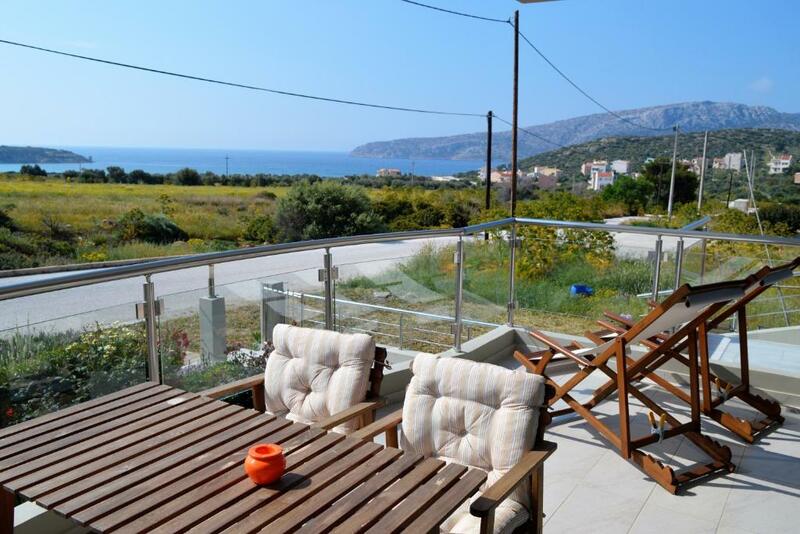 Beautiful house within close proximity to the temple of Poseidon and a great sea view from balcony. Sandra and Simos were amazing hosts and provided recommendations for a good dinner restaurant and bakery in the vicinity. The beds were super comfortable, wifi worked wonderfully and the entire home was so well looked after! Beautiful garden!! The hosts were Phenomenal! We had to leave at 0330 for the airport so they couldn't make us breakfast...so they offered a bottle of wine instead! 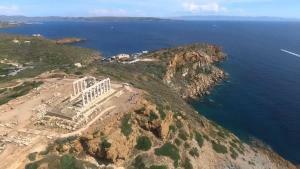 Close to Poseidon's temple (I would have missed it had I not stayed here), which was by far my favorite structure. Beaches are a short drive or walk, great porch to view the water. Outstanding hosts, I hope to stay again! The owners have experience in the hospitality business and it shows. They are a wonderful, engaging couple who go above and beyond to make your stay perfect. They even brought us a plate of beautiful local fruit when they came to check on us. They gave excellent driving directions and restaurant recommendations. The apartment is extremely clean and well-organized. Better than it appears in the photos. The surrounding area is very quiet, but close to groceries and restaurants. This property is one of the best values I've ever experienced and the owners are great people. Sandra and Simos are great hosts, their appartment is modern, comfortable and clean with a superb terrace with view on the see. The place is extremely quiet and beautiful, very close to Poseidon's temple. Everything was really great, check-in and the whole stay. We felt very welcomed and really enjoyed our short stay. The rooms are clean, very comfortable bed, you have everything you need in the kitchen. And of course the dreamy view from the terrace! Definitely recommend! What a gem! Stayed just 1 night in late October, though would have been happy to spend a week. Very high quality kitchen and furnishings. Sandra & Simos took great care to design a terrific retreat. Simos welcomed my wife and I with a glass of wine and a snack on arrival. We enjoyed the beautiful deck out front and the lovely front yard garden. And, of course, the sea just steps away. The sand bar on the beach goes out a long way - we were still in waist-deep water about 50 meters from shore. Simos also recommended Marida restaurant (always a tough choice on where to dine with just 1 night somewhere) and we had the best meal of our 10-day Greece trip there! Freshest/best red snapper and calamari we have ever had. Highly recommended! 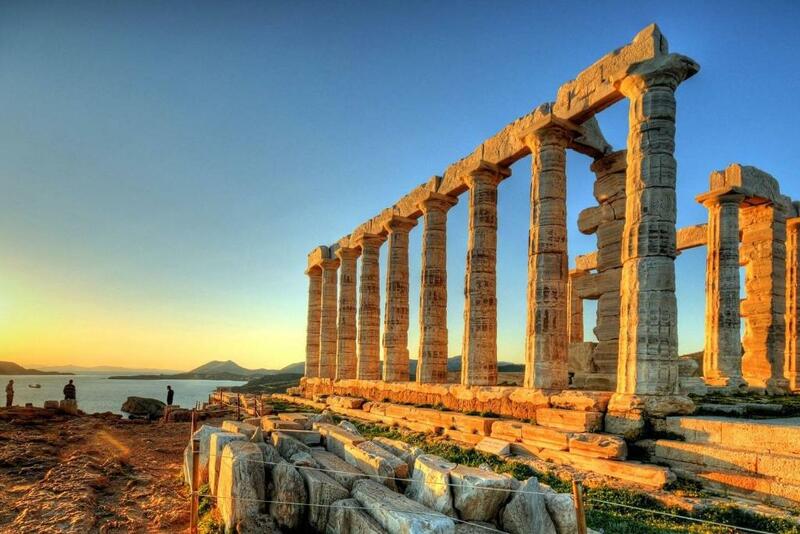 We would return if we are ever lucky enough to be back in beautiful Sounio. Very nice and welcoming hosts! Nice appartment in a very quiet area. 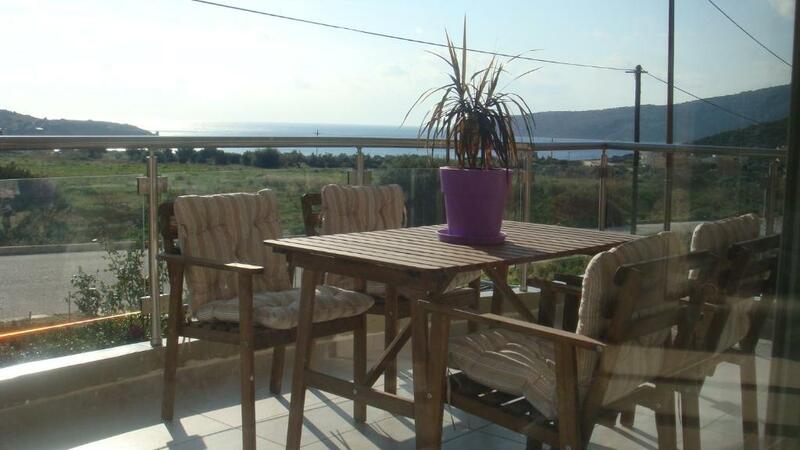 Spotless, well equipped, comfortable apartment with deck looking to the sea 200 meters away. Quiet area, shops 10 min away, Poseidon Temple also 10 mins. Beautiful hosts fluent in Greek and and English, couldn't be more helpful and knowledgeable. Highly recommended. 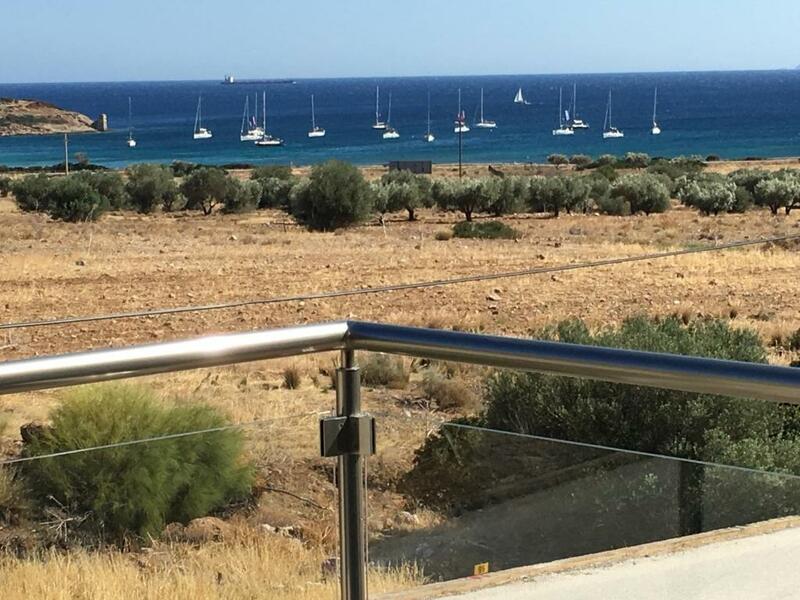 Lock in a great price for Sandra's Sea View at Sounio – rated 9.8 by recent guests! Located 3.1 mi from Temple of Poseidon in Sounio and 1,150 feet from Charakas Beach, this air-conditioned apartment features a balcony with sea views. 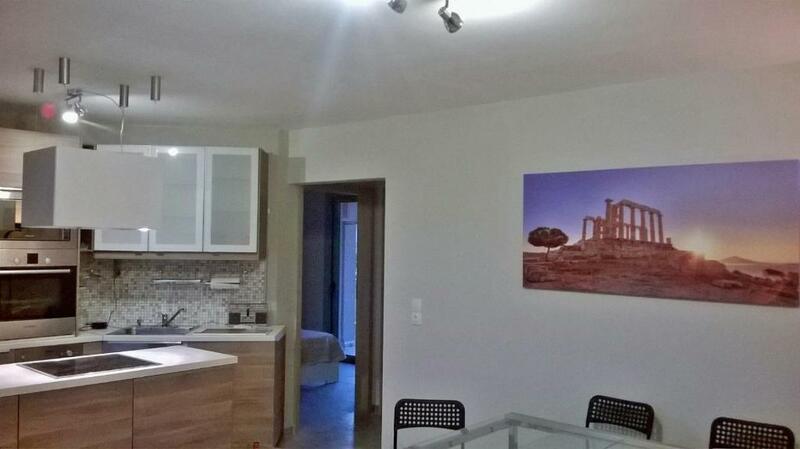 The unit is 7.5 mi from Lavrio Port, and guests benefit from free WiFi and private parking available on site. The kitchen is equipped with a dishwasher and an oven and there is a private bathroom with free toiletries and a hair dryer. Towels and bed linen are featured at Sandra's Sea View at Sounio. Other facilities at Sandra's Sea View at Sounio include a sun terrace. Free use of bicycles is available at the property and the area is popular for cycling. The center of Lavrio, boasting an array of bars and restaurants, is 7.5 mi away. The nearest airport is Eleftherios Venizelos Airport, 25 mi from Sandra's Sea View at Sounio. 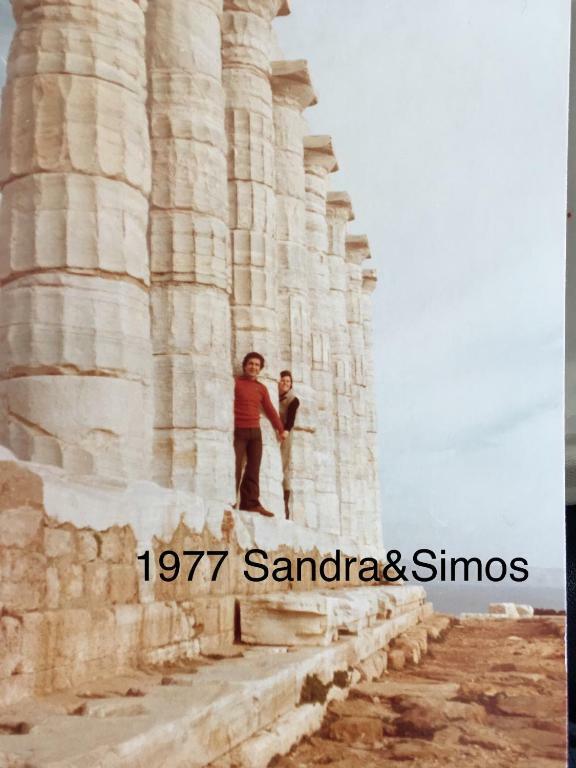 When would you like to stay at Sandra's Sea View at Sounio? Opening to a furnished balcony with panoramic sea view, this house has 2 separate, air-conditioned bedrooms, an air-conditioned living room with fireplace and a fully equipped kitchen with dishwasher, oven and microwave. A flat-screen TV, a DVD player and free WiFi are also available. The 2 bedrooms also have ceiling fans and open out to balconies overlooking the hills. Hi,my name is Sandra.My husband's name is Simos.I was born and raised in New Zealand and have lived in Greece since 1980.My husband was born on the island of Lesbos.We both worked for many years on cruise ships.This is also where we met.We spend our time between Alimos (a suburb of Athens) and Sandra's sea view at Sounio.We love the sea and are all year-round swimmers.We also love travelling,so we understand what a person is looking for. Quiet neighbourhood offering pleasant country-side walks along the sea-side or hills.Our sandy beach has calm and clear clean waters,safe for everybody.On weekends it is quite busy.There are also a selection of beaches,such as KAPE ,Thimari or Sounio,which can be found within a short drive.There are no tides at Charakas beach.You can enjoy refreshments and snacks at any of the two beach-bars,as well as sun-beds and umbrellas.Toilet and changing facilities are available.The closest mini-market,bakery butcher,and taverns are at a distance of 3 km(Legraina).Parking available all around our house and an underground garage.Public transport is available with a bus running into Athens(60 km)on an hourly basis .In the summer you can take a day cruise to some islands from Anavissos (10 km) , and also the port of Lavrio (13km),from where there are ferry-boats to the islands.The distance to the airport is 36 km.There is also parking facilities near-by for boats. Our friend George Kokkotos can provide limo,taxi and mini-bus tours for any location/archaelogical sights in Greece,upon request with English-speaking drivers and guides,as well as transfers to and from the airport/ship port. House Rules Sandra's Sea View at Sounio takes special requests – add in the next step! Please inform Sandra's Sea View at Sounio of your expected arrival time in advance. You can use the Special Requests box when booking, or contact the property directly using the contact details in your confirmation. We had a fantastic time at Sandra's Sea View. The apartment is fully equipped so you feel quite independent; you can cook (literally everything!) /wash your clothes/enjoy a cup of coffee (any coffee you wish as a matter of fact)/or even work as the speed of the internet connection is excellent. Mr Simos and mrs Sandra went out of their way to make our stay pleasant. They even provided us with a crib and a baby-chair and made the apartment child-proof. It is perfect for both winter and summer holidays as it has a state-of-the art air conditioning system and a fireplace as well. I would definitely recommend it. Nothing to dislike as it was a new unit. Our host were very friendly and helpful, especially with a problem I needed to sort urgently. They also directed us to local restaurant. We were given a welcoming drink. The bed was comfortable . The unit had a patio at the front which overlooked the sea, and at the back, another one where you could hang washing. Basically everything - the place was great, really clean, well equipped. The hosts were very friendly and helpful. We enjoyed our short stay there a lot. Spacious accommodation, modern equipment (kitchen), nicely furnished with lots of love for details, 2 balconies, sea view and beach in walking distance. Wunderful and extremely friendly hosts. Place would be suitable to stay for several days! Our hosts were very friendly and welcoming. The apartment was lovely and very clean and comfortable. New apartment, fully equipped, very nice decoration, extremely clean, nice view, with lovely hosts!